I am bit of a… how do you say it… (must find a good sounding word for ‘tight’/’miserly’) … thrifty… ah, that is it. Thrifty person. I am bit of a thrifty person. I drive my car without sudden accelerations and stops, and I use my energy efficiently. Gentleness goes a long way actually, when it comes to driving your car efficiently. In fact, it helped me manage 500 miles off a single 40 litre tank of petrol a few years ago. Before I digress though, I talked last week about how me, along with some other bloggers had been doing the #EnergySavingChallenge, and had a little chat with Pollyanna Woodward to discuss our findings. Today, I write about mine. MoneySuperMarket.com got in touch with me back in July, and asked if I wanted to take part. Being curious, interested, thrifty, and just a sucker for trying new things, I said yes. They sent me three items. 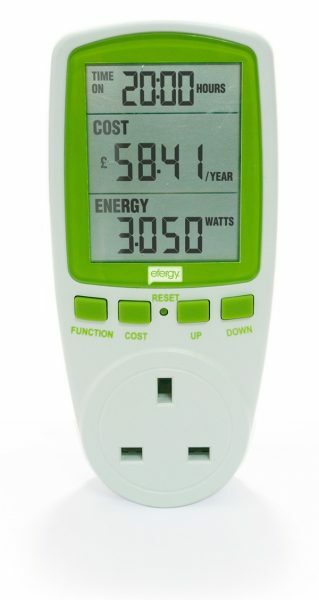 An energy meter that measures your total consumption, as well as individual units that you can plug single items into. Combining the two, you can measure exactly how good or bad the various devices you have at home are. 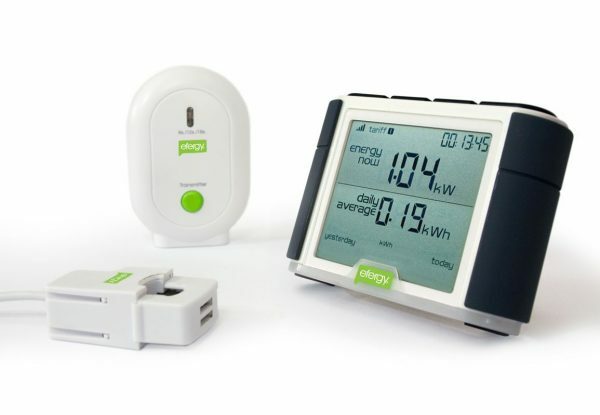 Without going into too much detail, both the devices are from Efergy, and can be bought directly from there. Various options and models are available according to your usage. No ‘electrician’ installation is required, and both the units come with clear instructions. The main unit does require batteries though, so be prepared. You install it by hooking the ‘wireless unit’ to the main feed of electricity coming out of your fuse box (or meter, whichever is easier), and pairing the devices. Once paired, you are good to go. On the unit itself, you can setup your tariffs, your day and date, and once set up, you can see your daily, weekly and monthly consumptions, both in kWh as well as money. Average data is also available. The singular units are simpler to use, as in all you need to do is plug them in. They do not require batteries, rather run on the mains supply powering them. You do find that it is easiest to ‘set them up’ while they are plugged in, as I found that my unit kept dying otherwise. It obviously has some in built capacitance, or a battery, but it doesn’t last very long. Didn’t for me anyway. 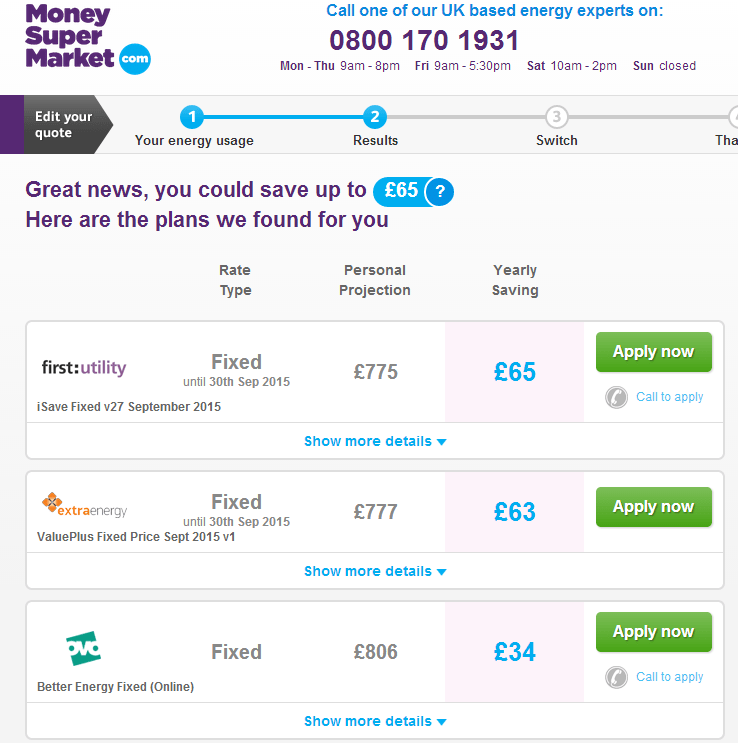 Set up is much the same, where you can manage your tariffs, and set up date and time to monitor your usage. I had mine plugged into a very old television, one that still runs on CRT, and a very typical kettle, the cheaper styled one. The television gave me no surprises. In fact, it doesn’t draw much at all, which was great. The kettle, on the other hand, gave me some crazy numbers. Every use for minimum boil volume (0.8 litres on mine) came to be 1p. However, the ‘annual average’ said it would cost me £2847 to run it over the year. Yes. Two thousand, eight hundred and forty seven pounds. No decimal places! Just so you know, my average electric costs for a year are shy of £400. The time used so far is the amount of time that the appliance has been actually working. So what you have seen is correct because the EMS “assumes” that the appliance plugged in the EMS (in this case the kettle) will be running all year round. Kettles are one of the highest energy consuming appliances in the home but they are used for short periods of time. That is why the “Average consumption” of a kettle will be very high, making the cost per year figure also very high. The way the EMS calculates this is, for instance, if you monitor a fan, which only works 2 hours a day, then the EMS will track the consumption of the fan and it will divide it by 2 hours. This is why the “cost per year” figure is more intended for appliances that work all the time, such as the fridge. Then it will show a very accurate value. Other appliances such as a TV are ok too, because they run on standby when they are switched off. In that case the EMS will still see them working and it will continue counting the “time used so far”. In this case the cost per year will also be accurate. This feature is not intended for appliances with very high consumption but that are used just for very short periods of time like kettles, microwaves or electric ovens. Once the mystery was solved, I carried on. Over the month, I tried various items, and found interesting results. Vacuum cleaners, hair dryers, hair straighteners, blenders, kettles, etc, bad. Laptops, chargers, televisions, etc, good. Obviously, the newer your item, the better its energy consumption is, generally. So, all this done, I was ready to punch in some numbers and see what MoneySuperMarket.com could do for me. I checked for both my Gas and Electric together, as I use one vendor for both. So there you go. While I am not too expensive on my ‘budget’ anyway, but it can still find me a saving of £65 a year. Of course, you have to look at terms and conditions, costs of breaking your current contract, and the general hassle of changing suppliers. However, if you’re about to move, or have just moved, this is definitely a good way to save you some money!